Welcome to Lawn Bowling in Malaga. The Federación Andaluza de Bolos is the Governing body for all Bowls related sports in the Andalucia region of Spain. An umbrella body, it encompasses Ten Pin Bowling, Bolos Andaluz (also known as Bolos Serranos – a game similar to skittles) Bolo Palma (also similar to skittles) and recently Lawn Bowls. 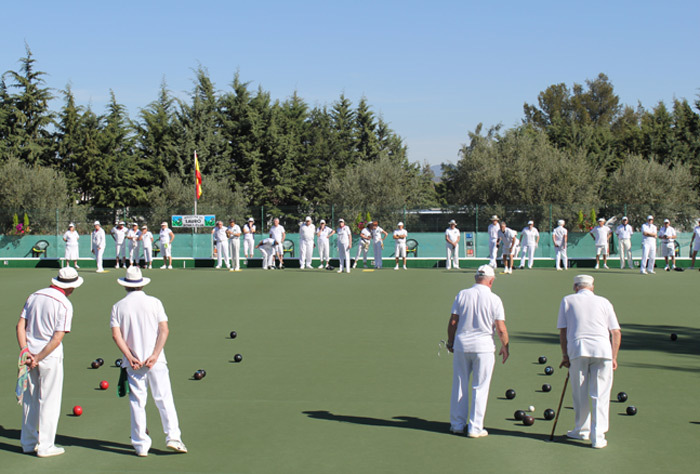 In Lawn Bowls the region of Andalucia is divided into two provinces, each governed by their own “Delegado” to the FAB and a supporting Committee. The provinces are Almeria and Malaga. Here in Malaga, Lawn Bowls has been around since 1980, when ex-pats founded the first Club, apropriately called First Lawn Bowls Club. The purpose of this web site initially is to introduce the Delegation, provide a contact point and gradually build up to an official Provincial reference and information centre. We hope you enjoy our site and look forward to any feed back you may have.